I’m a 27 year old living in London, Ontario with my boyfriend and German Shepherd! I’m a freelance makeup artist for my own business called The Powder Room, and I’m also a senior artist at Esteem. I love football, karaoke, my dog, food, traveling the world, and making people feel beautiful! Why did you decide to go into makeup artistry? What about it appeals to you? I’ve loved makeup ever since my mom helped me cover my first blemish in grade 7—I couldn’t believe how well it worked! At that moment, I felt so lucky yet so sorry for my male counterparts going through puberty without the magic of makeup. When I went to university, I became more adventurous and creative with makeup. My floor mates would ask me for tips, so I soon became the “go-to” for quick makeup applications. After I graduated, I started branching out to help family and coworkers with special event makeup and even did a few weddings. In December 2014, I took the QC Academy Makeup Artistry course that prepared me to start up my own makeup business. I’ve been freelancing and taking clients ever since! What’s one thing that you wish someone had told you when you were just starting out in the business? To be patient!! Success will happen. It’s tough in the beginning. You’re still trying to find your style and figure out your place in the industry! Just keep working hard and pushing yourself creatively and things will fall into place. Your Instagram is incredibly creative. Where do you find inspiration? Thank you! I find inspiration from other artists! I usually see something an artist has created, take pieces of it, and make it my own—Instagram is amazing for this! If I feel like doing a skull, for example, I’ll search #skullmakeup and become inspired by what pops up! I’m always trying to push myself outside my comfort zone. How do you think QC Makeup Academy has prepared you for working in the field? QC really opened my eyes to the business aspect of being a freelance makeup artist. 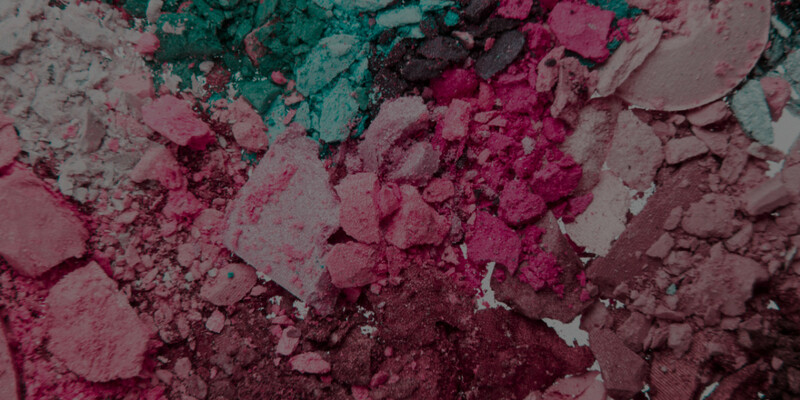 The Makeup Artistry course is the reason I came up with the name @thepowderrooom! Also, the brush set provided for signing up is incredible—I still use it daily!! If you could only use one makeup product for the rest of your life, what would it be? Wow that’s tough!! I would say bronzer, I suppose, because I could cheat and do my whole face with just one product! Lately I’ve been obsessing over Physicians Formula Butter Bronzer! It is a dream! 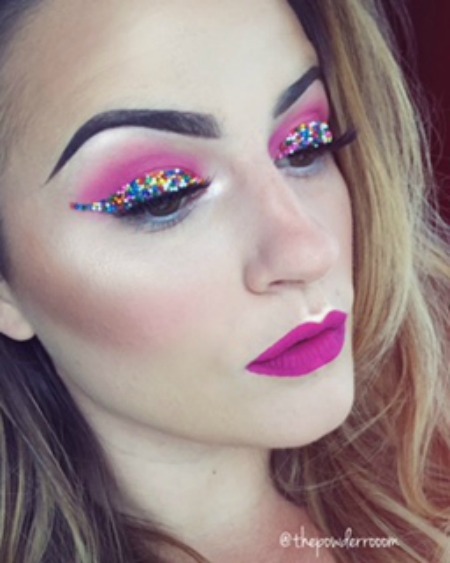 Are you interested in pursuing a makeup career like Cassidy? Check out all the courses QC has to offer!